Wales Online offers a look back at the brilliant 1960's TV series, The Prisoner, and offers some good photos. 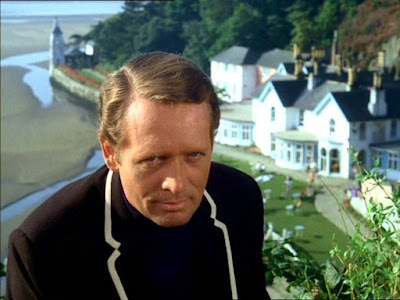 The Prisoner - starring Patrick McGoohan - was a hit in the sixties and avid fans still discuss the meaning of the show today. Featuring McGoohan as Number Six, the tense drama saw the spy being held captive in the mysterious village.